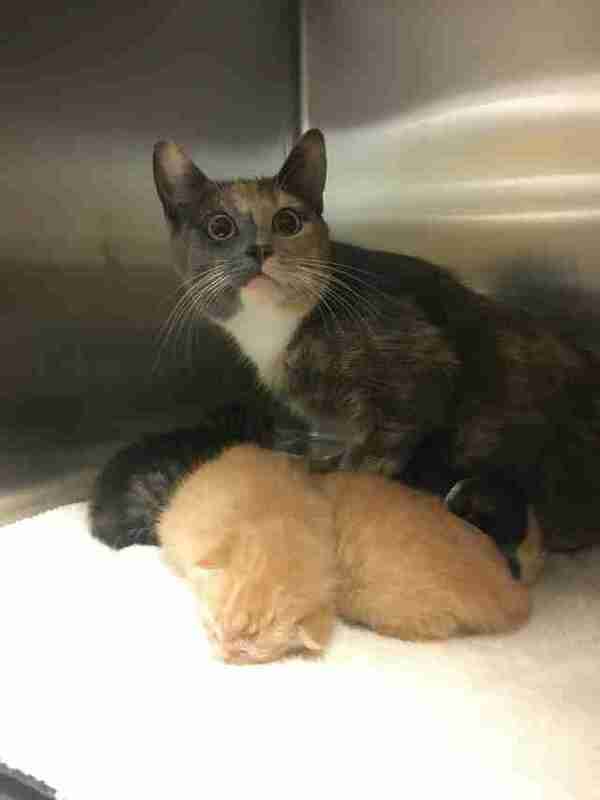 "The kittens just opened their eyes for the first time." One of the first things the staff at the Fredericksburg SPCA did Thursday morning was go on Facebook with an urgent plea. "Good morning, Facebook friends! We had a special drop off this morning," staff said on live video. 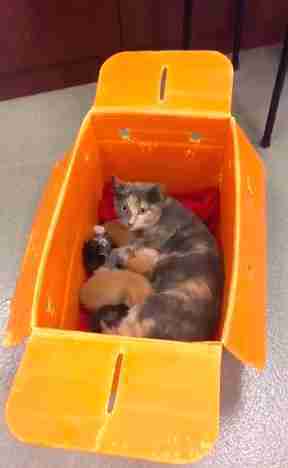 "We have two mama cats that were abandoned at our doorstep — and we need your help." 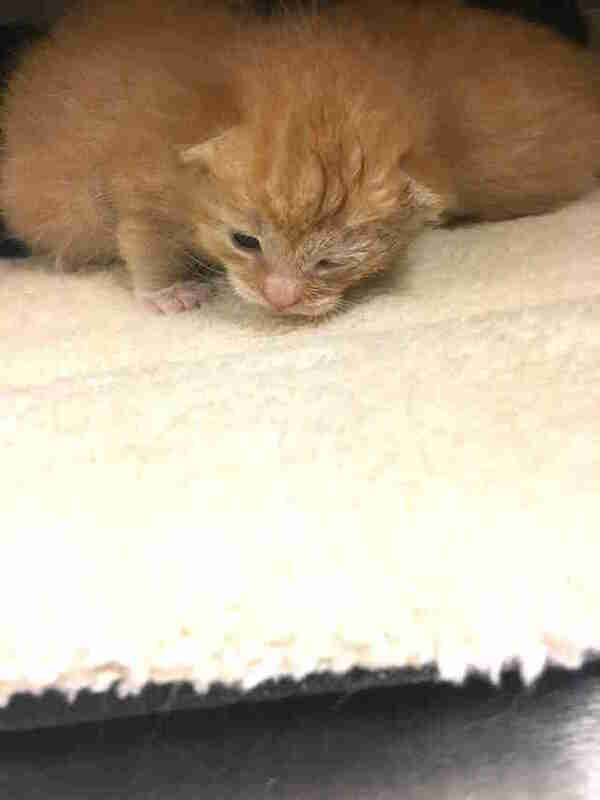 The shelter already has 115 kittens in its network of foster carers, and no foster was open. So the most urgent thing was to get these families to a place where they could nurse and rest, especially since they were very frightened and disoriented. 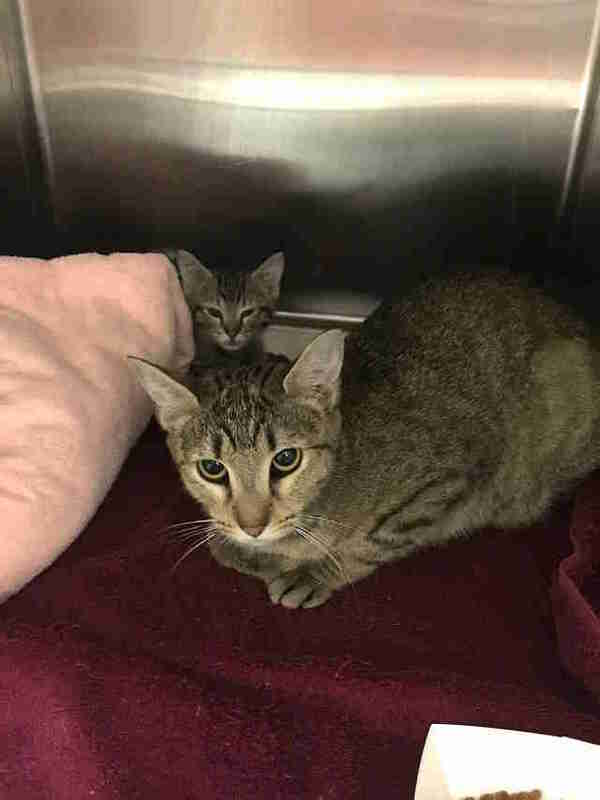 "The tabby mama is super scared," Caitlin Daly, executive director of the Fredericksburg SPCA, told The Dodo. 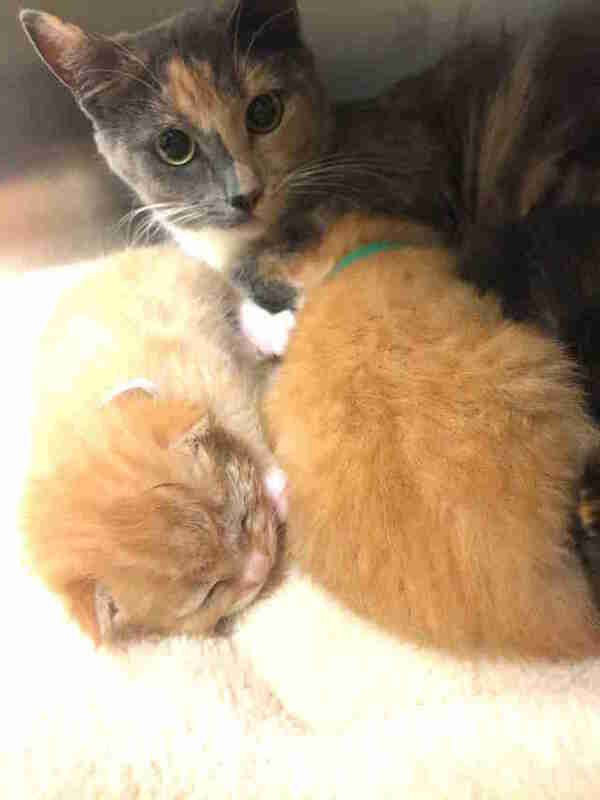 While the calico mom had four little kittens with her, the tabby cat just had one — and both mom and kitten were hiding. "The tabby mom is really shy, eyes really dilated. We are trying to give her a break." By early Thursday afternoon, things were looking up for the two abandoned families: The shelter managed to secure foster homes for the two families. So rescuers decided to help all the cats calm down by putting them in the kitten nursery and putting on some music. "All of them are in our 'kitten nursery' listening to Dido," Daly said. But they still need help. "We are in desperate need of kitten supplies!" Daly said. With over 100 tiny kittens in their care, it's no wonder rescuers and foster parents need as much food, litter and treats they can get. And then another unexpected guest showed up at the shelter. A Good Samaritan found a tiny orphaned kitten outside in the rain all alone. When Funfetti arrived at the shelter, staff hoped that one of the moms would agree to take her in. 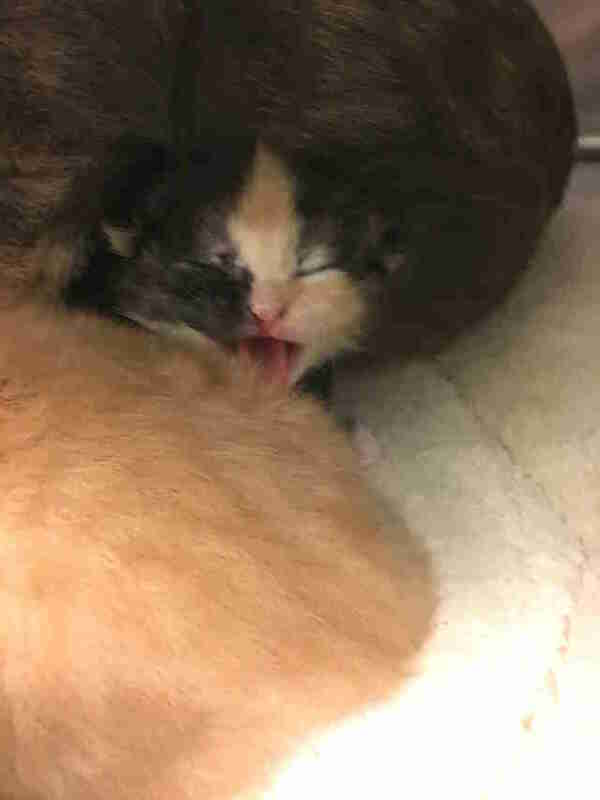 And the calico cat adopted her into her litter. Being such a good mom, she spent a lot of time diligently cleaning all of her babies — including Funfetti. And the kittens have already transformed to slightly older cats in the few hours they've been at the shelter. "The kittens just opened their eyes for the first time," Daly said. Luckily, the first thing they saw were their moms and the people who are there to help them. 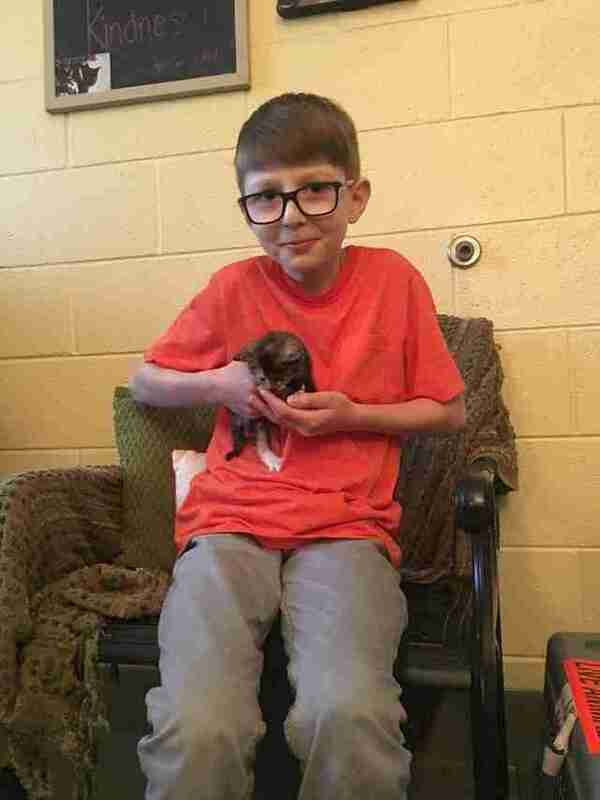 To help the people at the Fredericksburg SPCA provide for these families and the other needy animals they help, you can send them something from their wish list.